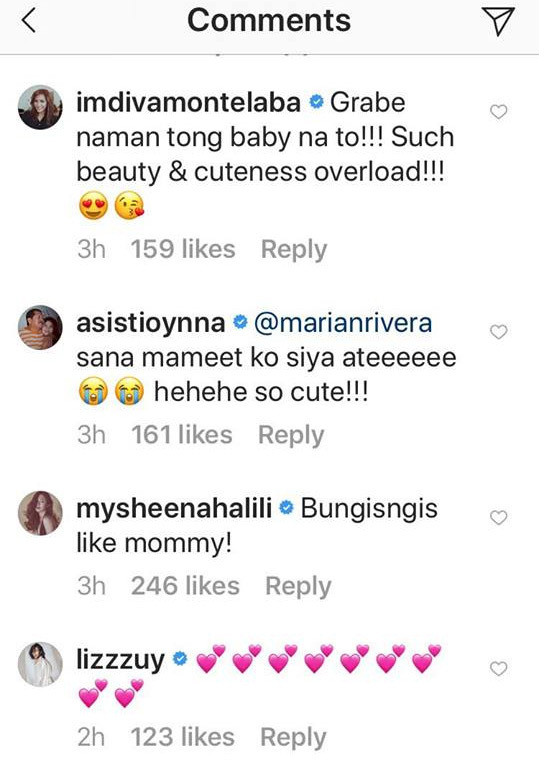 Clad in a fuchsia baro't saya with an alampay, Zia Dantes easily charms the netizens once again. 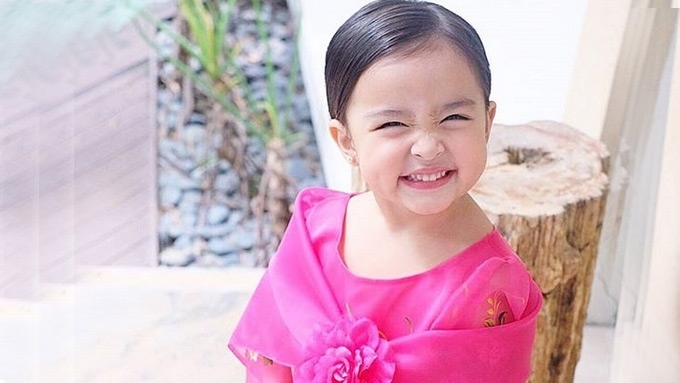 Currently viral on social media is a photo of Zia Dantes in her Linggo ng Wika costume: a baro't saya with an alampay in fuchsia. 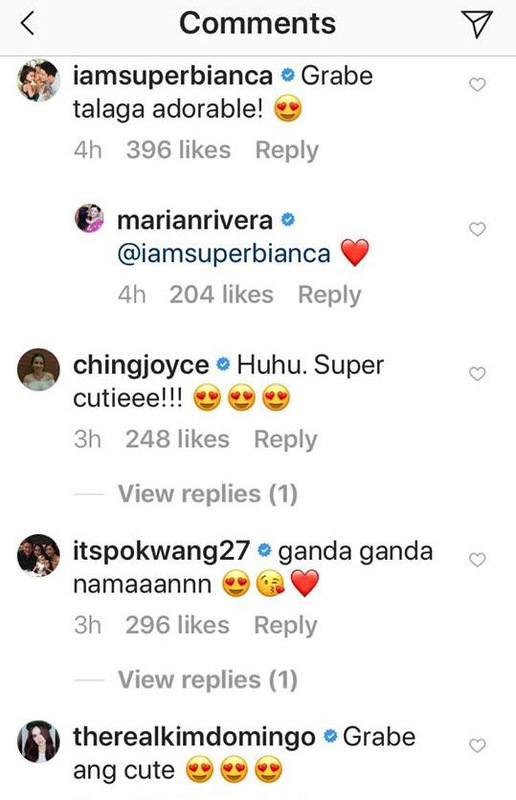 Since her mom Marian Rivera posted it on Instagram three hours ago, it has easily generated 250,000 likes. Marian's caption read, "Ay sus, that smile!" And a number of celebrities—Kapamilya and Kapuso alike—were also captivated by it. At press time, the post already has more than 2,500 comments. Both moms and single ladies gushed about the toddler's cuteness! 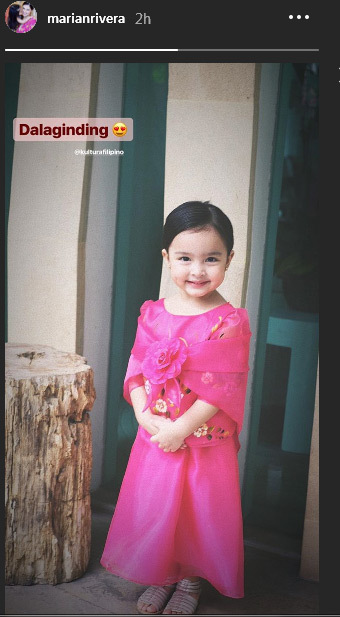 On Marian's Instagram Story, she put out a full-body shot of her "dalaginding's" OOTD. Go, Zia! You effortlessly win the Lakambini ng Wika title.